Opening Reception: Tuesday, May 23, 2017, 6–8:00 p.m.
Love=Love is a series of collages that were created using pieces of over 60 store bought puzzles. Although puzzle pieces are unique, and can only fit into one place within a puzzle, they are sometimes interchangeable within a brand. 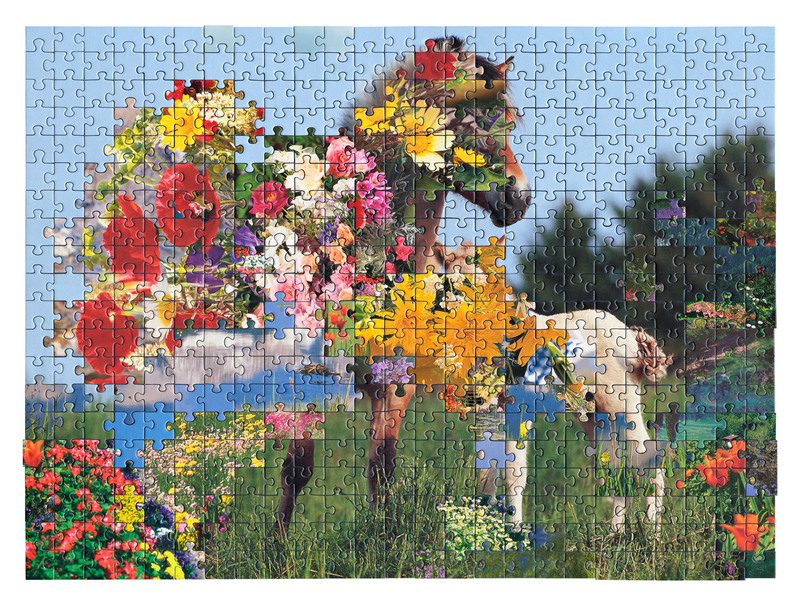 These puzzles were cut using the same die, but depict unrelated images. Using only the flowers and skies from each of the puzzles, I created a series of entirely new compositions by recombining the puzzle pieces. These spectacular, fantastical and surreal landscapes sit in direct contrast to the banal and bucolic images of the original puzzles.